synopsis was incredibly interesting and I really, really wanted to know what happened and I lowkey needed to know how Quinn became pregnant. I got a bit of a Unbecoming of Mara Dyer vibe from this book so if you loved Mara Dyer, you might love The Inconceivable Life of Quinn as well. I’m not a huge fan of magical realism. I didn’t expect magical realism in this book so that was kind of out of left field for me. It came a little late in the book for me to adjust to it and it just didn’t hit me right. I did really love the writing style. 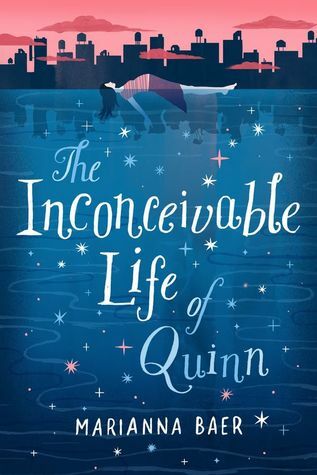 I thought it was really well written so the writing was my favorite thing about The Inconceivable Life of Quinn. Overall, the writing was great but the magical realism just wasn’t for me. I think this is a really cool book and a lot of people, especially fans of Mara Dyer, will really enjoy it.